Schizophrenia is a chronic, severe, debilitating mental illness. It is one of the psychotic mental disorders and is characterized by symptoms of thought, behavior, and social problems. The thought problems associated with schizophrenia are described as psychosis, in that the person's thinking is completely out of touch with reality at times. For example, the sufferer may hear voices or see people that are in no way present or feel like bugs are crawling on their skin when there are none. The individual with this disorder may also have disorganized speech, disorganized behavior, physically rigid or lax behavior (catatonia), significantly decreased behaviors or feelings, as well as delusions, which are ideas about themselves or others that have no basis in reality (for example, the individual might experience paranoia, in that he or she thinks others are plotting against them when they are not). There are five types of schizophrenia, each based on the kind of symptoms the person has at the time of assessment. Paranoid schizophrenia: The individual is preoccupied with one or more delusions or many auditory hallucinations but does not have symptoms of disorganized schizophrenia. Disorganized schizophrenia: Prominent symptoms are disorganized speech and behavior, as well as flat or inappropriate affect. The person does not have enough symptoms to be characterized as suffering from catatonic schizophrenia. Catatonic schizophrenia: The person with this type of schizophrenia primarily has at least two of the following symptoms: difficulty moving, resistance to moving, excessive movement, abnormal movements, and/or repeating what others say or do. 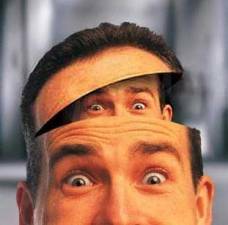 Undifferentiated schizophrenia: This is characterized by episodes of two or more of the following symptoms: delusions, hallucinations, disorganized speech or behavior, catatonic behavior or negative symptoms, but the individual does not qualify for a diagnosis of paranoid, disorganized, or catatonic type of schizophrenia. 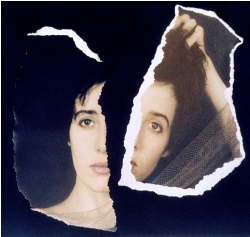 Residual schizophrenia: While the full-blown characteristic positive symptoms of schizophrenia (those that involve an excess of normal behavior, such as delusions, paranoia, or heightened sensitivity) are absent, the sufferer has a less severe form of the disorder or has only negative symptoms (symptoms characterized by a decrease in function, such as withdrawal, disinterest, and not speaking). The causes of schizophrenia, like all mental disorders, are not completely understood or known at this time. There is no known single cause of schizophrenia. As with most other mental disorders, schizophrenia is not directly passed from one generation to another genetically, and there is no single cause for this illness. Rather, it is the result of a complex group of genetic, psychological, and environmental factors. Genetically, schizophrenia and bipolar disorder have much in common, in that the two disorders share a number of the same risk genes. However, the fact is that both illnesses also have some genetic factors that are unique. There are some genetic commonalities with schizophrenia and epilepsy as well. Environmentally, the risks of developing schizophrenia can even occur before birth. For example, the risk of schizophrenia is increased in individuals whose mother had one of certain infections during pregnancy. Difficult life circumstances during childhood, like the early loss of a parent, parental poverty, bullying, witnessing parental violence; being the victim of emotional, sexual, or physical abuse or of physical or emotional neglect; and insecure attachment have been associated with the development of this illness. Even factors like how well represented an ethnic group is in a neighborhood can be a risk or protective factor for developing schizophrenia. For example, some research indicates that ethnic minorities may be more at risk for developing this disorder if there are fewer members of the ethnic group to which the individual belongs in their neighborhood. 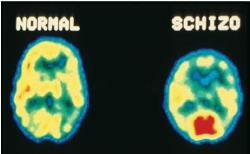 Many studies of people with schizophrenia have found abnormalities in brain structure. In some small but potentially important ways, the brains of people with schizophrenia look different than those of healthy people. For example, fluid-filled cavities at the center of the brain, called ventricles, are larger in some people with schizophrenia. The brains of people with the illness also tend to have less gray matter, and some areas of the brain may have less or more activity. It should be emphasized that these abnormalities are quite subtle and are not characteristic of all people with schizophrenia, nor do they occur only in individuals with this illness. Microscopic studies of brain tissue after death have also shown small changes in distribution or number of brain cells in people with schizophrenia. It appears that many (but probably not all) of these changes are present before an individual becomes ill, and schizophrenia may be, in part, a disorder in development of the brain. Schizoaffective Disorder and Mood Disorder With Psychotic Features have been considered as alternative explanations for the symptoms and have been ruled out. The disturbance must also not be due to the direct physiological effects of use or abuse of a substance (e.g., alcohol, drugs, medications) or a general medical condition. In asking questions about mental-health symptoms, mental-health professionals are often exploring if the individual suffers from hallucinations or delusions, depression and/or manic symptoms, anxiety, substance abuse, as well as some personality disorders (for example, schizotypal personality disorder) and developmental disorders (for example, autism spectrum disorders). 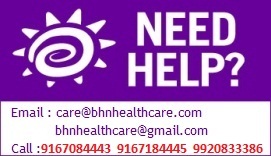 Since some of the symptoms of schizophrenia can also occur in other mental illnesses, the mental-health screening is to determine if the individual suffers from schizoaffective disorder or other psychotic disorder, depressive disorder, bipolar disorder, anxiety disorder, or a substance-abuse or personality disorder. 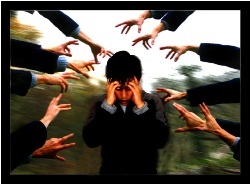 Any disorder that is associated with bizarre behavior, mood, or thinking, like borderline personality disorder or another psychotic disorder, as well as dissociative identity disorder (DID), also known as multiple personality disorder (MPD) may be particularly challenging to distinguish from schizophrenia. In order to assess the person's current emotional state, health-care providers perform a mental-status examination as well. In addition to providing treatment that is appropriate to the diagnosis, determining the presence of mental illnesses that may co-occur (be comorbid) with schizophrenia is important in improving the life of individuals with schizophrenia. For example, people with schizophrenia are at increased risk of having a substance-abuse, depressive, or anxiety disorder and of committing suicide. Schizophrenia usually first appears in a person during their late teens or throughout their twenties. It affects more men than women, and is considered a life-long condition which rarely is "cured," but rather treated. The primary treatment for schizophrenia and similar thought disorders is medication. Unfortunately, compliance with a medication regimen is often one of the largest problems associated with the ongoing treatment of schizophrenia. Because people who live with this disorder often go off of their medication during periods throughout their lives, the repercussions of this loss of treatment are acutely felt not only by the individual, but by their family and friends as well. Successful treatment of schizophrenia, therefore, depends upon a life-long regimen of both drug and psychosocial, support therapies. 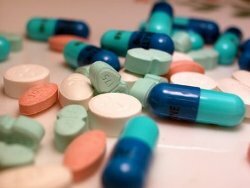 While the medication helps control the psychosis associated with schizophrenia (e.g., the delusions and hallucinations), it cannot help the person find a job, learn to be effective in social relationships, increase the individual's coping skills, and help them learn to communicate and work well with others. Poverty, homelessness, and unemployment are often associated with this disorder, but they don't have to be. If the individual finds appropriate treatment and sticks with it, a person with schizophrenia can lead a happy and successful life. But the initial recovery from the first symptoms of schizophrenia can be an extremely lonely experience. Individuals coping with the onset of schizophrenia for the first time in their lives require all the support that their families, friends, and communities can provide. With such support, determination, and understanding, someone who has schizophrenia can learn to cope and live with it for their entire life. But stability with this disorder means complying with the treatment plan set up between the person and their therapist or doctor, and maintaining the balance provided for by the medication and therapy. A sudden stopping of treatment will most often lead to a relapse of the symptoms associated with schizophrenia and then a gradual recovery as treatment is reinstated. When treating pregnant individuals with schizophrenia, health-care practitioners take great care to balance the need to maintain the person's more stable thoughts and behavior while minimizing the risks that medications used to treat this disorder may present. While some medications that treat schizophrenia may carry risks to the fetus in pregnancy and during breastfeeding, careful monitoring of how much medication is administered and the health of the fetus and of the mother can go a long way toward protecting the fetus from any such risks, while maximizing the chance that the fetus will grow in the healthier environment afforded by an emotionally healthy mother.